Dr Karena Waller is an Associate Professor in the Department of Microbiology and Immunology. Karena joined the Department’s academic teaching staff in 2010 after completing 15 years in local and international malaria research. Today, Karena contributes significantly to the teaching and learning of microbiology and immunology to second and third year Bachelor of Science and Bachelor of Biomedicine students. In addition to her role as lecturer and subject coordinator, Karena is also the Academic Programs Coordinator, Majors Coordinator and the Exchange/Global Mobility Coordinator for the Department. External to the Department, Karena sits on numerous School, Faculty, Institute and University Committees, primarily focusing on teaching and learning, and academic governance. 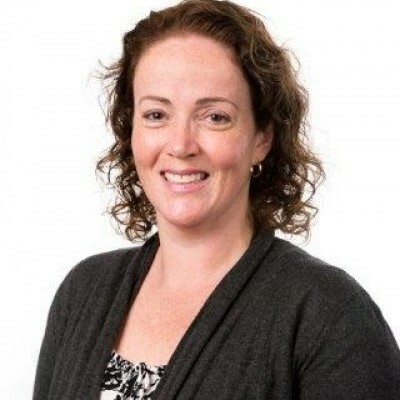 Karena completed a Bachelor of Science with Honours in 1994 at Monash University before completing a Doctor of Philosophy in 2001 also at Monash University investigating the protein interactions in malaria-infected red blood cells. After completing five years of post-doctoral research at the Albert Einstein College of Medicine in New York, USA, Karena was awarded a prestigious NHMRC Howard Florey Fellowship in 2005 to return to Australia to establish an independent malaria research program. Karena has published numerous biomedical and educational (Scholarship of Teaching and Learning (SoTL)) research articles in international, peer-reviewed journals. Karena completed the Graduate Certificate in University Teaching at the University of Melbourne in 2011. Karena’s excellence in teaching and learning has been rewarded with numerous prizes, from both the University and the Australian Society for Microbiology.